After a highly successful first gathering of the Gardeners Group, a meeting was held on Monday 6 August to form a steering committee; clarify the Terms of Reference of the group; and plan the way forward. The following were present: Merrilee Berrisford, Gwen Coetzee, Andrea Benn, Rea Borcherds, Barbara Jenman, Ingrid Buchan, Sharon Coleridge, Galia Manicom. The aim is to arrange informal and convivial gatherings, centred around garden visits and botanical activities, which will be opportunities to share knowledge, learn something useful, be inspired and encouraged, and obtain answers to questions regarding plant identification, etc. To add to the interest of each garden visit, it would be helpful for the host/hostess to briefly introduce their garden, giving a bit of its background, and describing the initial challenges they faced. Different types of gardens – large or small; landscaped or managed veld; flat wetland or rocky mountainside; etc. and how to overcome the challenges presented by each. Identifying the different terrains and soil types, and how to plant them and protect the soil from wind or water erosion. How to select and plant your fynbos to avoid losses. How to garden and co-exist with wildlife of various kinds, spurfowl, porcupine, baboons. Gardening for newcomers and beginners, and when a plot is totally devoid of existing vegetation. Transplanting and pruning – which plants, and when and how to do it successfully. We will visit three gardens – those of Carrol Farlam, Arabelle Stuart, and Ingrid. 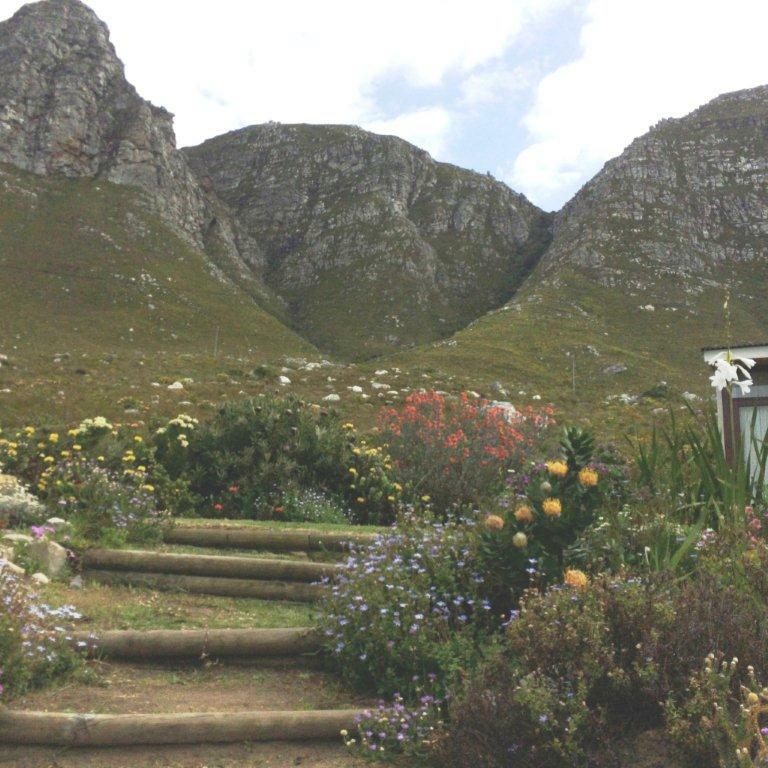 As these gardens are at the Pringle Bay end of Betty’s Bay, we will meet at Die Stoor at 9 am. If coming from Pringle Bay, immediately after the cutting take the right-hand exit at the Penguins sign. Die Stoor is the first turn on the left-hand side.